Photographs by Jack Celli from circ. 1978. Saladini Hall Feast of Saint Rocco. 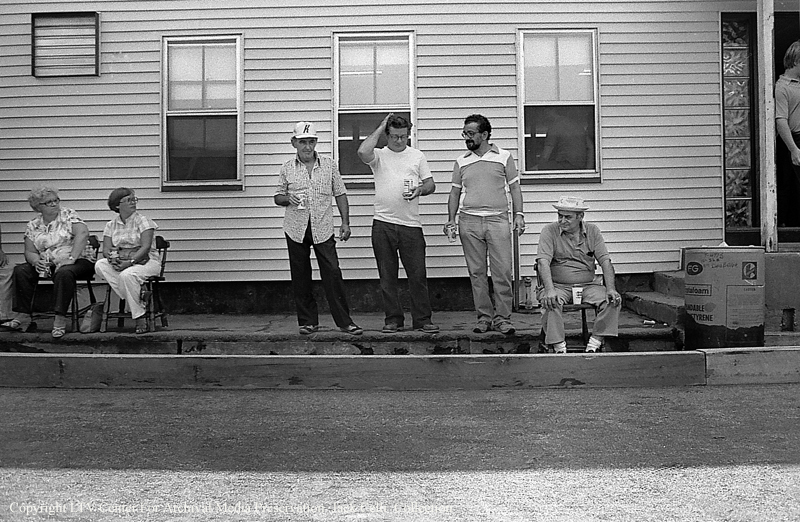 Sam Jones Day In Leominster article by By Joe Atmonavage Photographs by Jack Celli "Mike Bangrazi was standing on the court on which he spent countless hours throughout his childhood on Saturday. Now his childhood idol turned close friend, NBA Hall of Famer and 10-time NBA champion Sam Jones, was standing next to him ready to accept a proclamation to make June 4 "Sam Jones Day" in Leominster. "Sam is a better person then he ever was a basketball player," Bangrazi said. "He epitomizes the way things should be done. They don't make them like him anymore." Bangrazi said all three of his heroes were with him Saturday. His mother and wife were in the crowd, and NBA legend Jones was to his left. 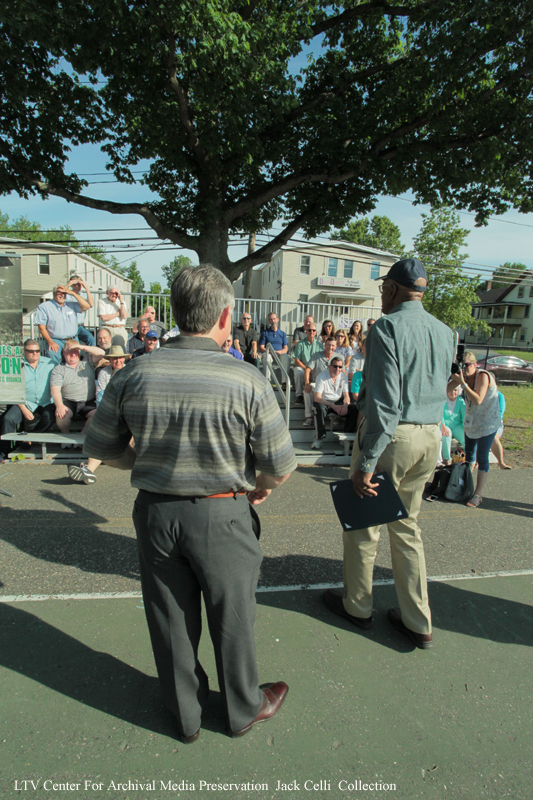 The ceremony on the blacktop was one part of Jones' day touring the city because of a book City Councilor Mark Bodanza recently published about the basketball great titled, "Ten Times a Champion."